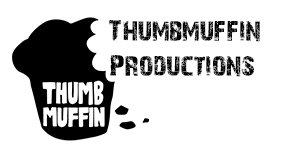 Welcome to Thumbmuffin Productions. We're a production company who are passionate about producing videos and media that capture and create your vision in a powerful and creative way. Give yourself that edge and get more fans. YouTube and Vimeo are the main way that fans find new music, so you can't afford to not have a music video.music composition, Discuss your next music video release with a Director now. Wedding, Musician, Commercial and Property. Advertise your brand with a video that gets you noticed. Production Company, An online advertisement or promotional video is the best way to represent your brand and business in today's markets. Don't fall behind, get more clients with a video that aligns with your vision and mission. Do your mixes sound too quiet and lack the punch you wanted at the recording stage? Let us help you achieve your vision. Regardless of scope or budget, we undertake our projects the same way; with passion. We have delivered many audio and visual projects and provided video/photography support at countless personal and public events. We can take that initial idea/concept and deliver something that will exceed your expectations. If you have a product to launch, tour to announce, business to advertise, story to tell or special event to capture, give us a call. LIKE WHAT YOU SEE? GET IN TOUCH WITH US NOW.